Cheap diapers are actually expensive when you consider that your baby will use thousands of diapers before potty training. It's a necessary expense that can put quite a burden on your budget. Here are 5 ways to cut diaper costs, plus a potential resource if even cheap diapers cost too much for your family. Generic diapers can be significantly cheaper than name brand disposables. Some generic brands are pretty good, while others leave a lot to be desired. You can learn which generic diapers work well for others by asking around or by checking out disposable diaper reviews online. 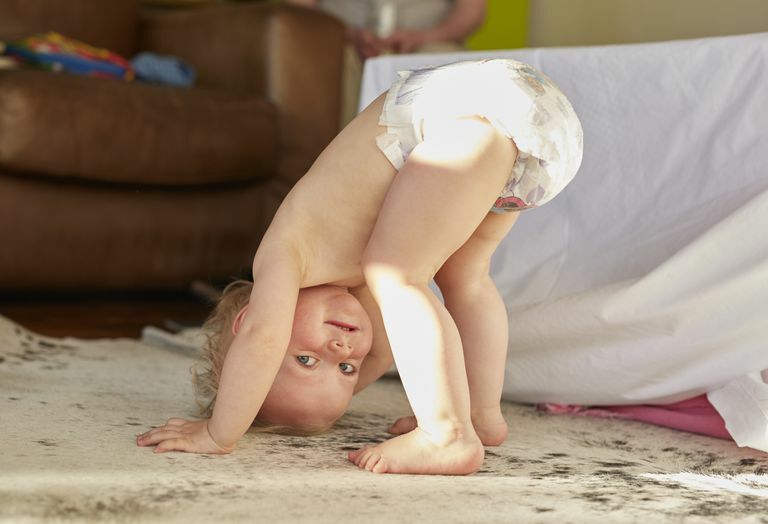 Parents and caregivers often have strong opinions on diapers and they're willing to share! The following are store brand or generic disposable diaper brands that can be found relatively cheap most of the time. DG Baby Diapers (Dollar General) - $4.50 for 24, or 19 cents per diaper. Parent's Choice Diapers (Walmart) - $17.97 for 160, or 11 cents per diaper. up & up Diapers (Target) - $21.99 for 160, or 14 cents per diaper. When buying generic or store brand diapers, carry a calculator with you so that you can check prices between brands and different size packages. Some store brand diapers may not be very cheap compared to name brand diapers when you do the math. This may be especially true if the name brand diapers are on sale. In general, you'll save money on diapers if you buy the biggest package you can find. However, this isn't a hard and fast rule, so again, carry that calculator. Sometimes sale prices or coupons on a specific size package might throw the "buy in bulk" advice right out the window. Bulk-purchase stores often have great prices on their own diapers. One popular choice is the Kirkland Signature diapers from Costco. A box of 198 diapers is available for $38.99, which is about 20 cents per diaper. Even pricier eco-disposable diapers, such as Seventh Generation, can be purchased for less than 30 cents per diaper when you look for big packages. While that's not a cheap diaper in general, it's certainly cheaper than what you'd spend for smaller packages. If your baby is sensitive to other types of diapers, cheap may become relative. Name brand diapers often cost less when you buy a big box. Pampers Cruisers (Buy on Amazon), when purchased in a small package can cost over 60 cents per diaper. Buying a 128-count box for $28.99 drops the price to 22 cents per diaper. Among the store brand or generic diapers, you can still save a few pennies per diaper by purchasing a larger package. For example, the up & up diapers sold at Target cost about 18 cents per diaper when you buy a seemingly cheap jumbo pack of 36 diapers for $6.29. Buying the larger club pack of 144 diapers for $19.99 reduces the cost per diaper to under 14 cents. That'll save you more than $100 in just the first year of your baby's life. Coupons may take more effort, but if you end up with really cheap diapers, it's an effort well-spent. To find great diaper deals, you can try signing up for alerts on some online coupon sites. CoolSavings.com often has printable diaper coupons for name brands. RetailMeNot.com also has printable coupons by store, plus you can search for online coupon codes for many stores that sell diapers, including Diapers.com. You can also check the website for your preferred diaper brand to see if they have sample pack offers or coupons to print. One legendary cheap diapers deal happened at Walgreens when multiple coupons and store deals could be combined. The end result was diapers for less than a penny each. Getting alerts on coupons and deals really came in handy for these super-savers, since they were able to plan ahead to go to multiple stores and collect coupons to combine for the best prices. If you prefer a specific brand of diapers, try asking your friends and family to watch for coupons on that specific brand. Look for stores that offer double coupon days, too, so you can maximize any savings you find. Also, consider store-specific price-matching or savings apps. Target's Cartwheel app can send coupons right to your phone, and Walmart's Savings Catcher will check prices at other stores and refund the difference if necessary. The internet has made it even easier to find cheap diapers. Several online stores offer big packages of disposable diapers, and when they're combined with free shipping, you can save quite a bit of money. At Diapers.com, now a part of Amazon.com, you can buy an extra large box of 204 Luv's disposable diapers for $36.99, which is 18 cents per diaper. That's a great price for a name brand diaper. Amazon.com has a program called Subscribe and Save where you get 15 percent off of regular deliveries of diapers and other baby items. Shipping is free with Subscribe and Save, too. With cloth diapers, you also must figure out your costs for washing. If you have to pay for laundry, cloth diapers may not turn out to be very cheap. Some laundromats have rules against washing diapers. If your child is in daycare, you may also need to check with the daycare provider to see if they are willing to handle cloth diapers. Some are not. On the extreme side of diaper savings, some parents skip diapering altogether past the first few weeks. This process is called elimination communication. Parents who EC try to learn their baby's subtle signals that indicate a diaper may soon be necessary, and then they hold the baby over a toilet. Financial times have been extraordinarily rough for many families in recent years, and for some, even cheap diapers may not be cheap enough. If you're struggling to keep your baby in diapers despite trying some of the strategies above, there may be help available within your community. Some local food banks or community pantry sites receive diaper donations and distribute them to families in need. WIC offices and other federal program sites don't generally cover diaper purchases, but these places may be able to point toward help with diapering supplies. Also, check with crisis pregnancy centers in your area. These non-profit groups often receive donations of diapers and other baby supplies. Some communities now have diaper banks that host diaper drives and actively seek diaper donations. What Are the Symptoms of a Yeast Diaper Rash? Are FuzziBunz Diapers Right for Your Baby?